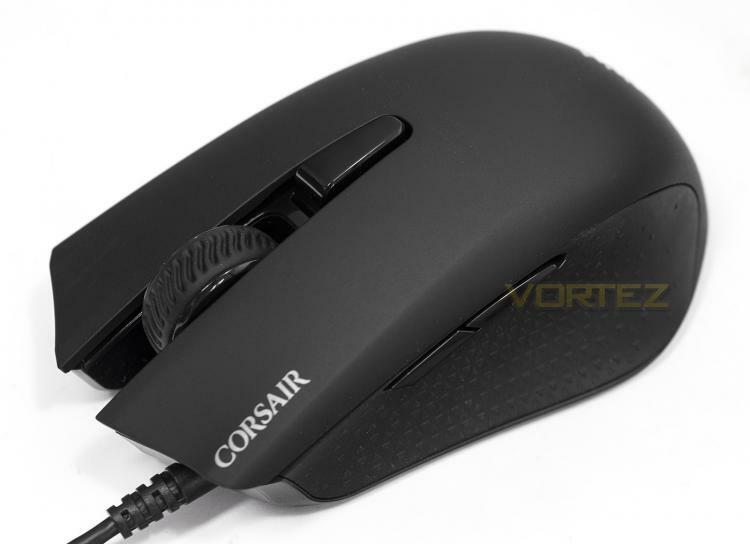 High speed, lightweight mice have gained popularity especially in the field of esports and competitive gaming as they cater for well for FPS, RTS and MOBA gaming. Though for some of the leading mice out there, some may wince at the prices, especially those that remember when £30-40 WAS the price for a top-end gaming mouse, and fortunately, Corsair won't leave you out in the cold this winter. Keeping in with the seafaring nomenclature, the HARPOON RGB is a lightweight (85g) small-to-mid sized mouse that packs some high-grade performance; with thanks to the Pixart 3320 sensor. The body is shaped to suit various grips styles and features rubberised sides, a total of 6 programmable buttons, Omron switches, and finally, RGB lighting. The HARPOON RGB joins a growing selection of mice in the £30/$30 mark that aims to provide huge performance at a more affordable price point. portability. On-the-fly DPI switching adapts your mouse sensitivity to the situation for total command in every environment. The Omron switches are rated for 20 million clicks, providing an ultrafast response and reliability over time. Immersive, dynamic multicolor backlighting offers virtually unlimited customization to make HARPOON RGB your own.